As stated in the Stanislaus State Principles of Assessment of Student Learning, the primary purpose of assessment at California State University, Stanislaus is improving student learning. 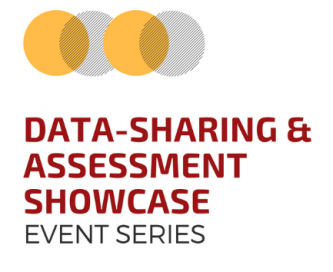 The purpose of the Stanislaus State data-sharing events are to recognize and highlight best practices in assessment across campus in both academic and co-curricular units, facilitate communication of assessment data to a broad University audience, and to foster and help encourage a culture of evidence and data-informed decision making. This page will be updated annually. Please contact the Office of Assessment with any recommendations/nominations! Using an innovative approach to direct assessment, the Anthropology program developed the Archeological Field Skills Olympiad in Anthropology 4605: Archaeological Field Methods. As part of the Olympiad activities, students were asked to perform a range of tasks necessary to successful fieldwork. The tasks included taking a feature photo of record, GPS measurements, Munsell color measurements, and laying out a 1x1 m excavation unit, as well as a quiz about the background research on Lost City, the site in Calaveras Co. that students had investigated as part of the course. At the conclusion of the first round of the Olympiad, scores were tallied and students with the top four scores advanced to the final round. To keep things interesting and simulate the fieldwork experience more effectively, "roadblocks" and "penalties" were incorporated into the course during the final round. For example, a student tagged with a "road hazard" sponge ball (thrown by students eliminated in the qualifying round) could not continue until successfully completing accident paperwork and receiving approval from a faculty member serving as the Risk Management official. At the conclusion of the Olympiad, Gold, Silver, and Bronze “medals” were awarded to the winners and everyone received a Certificate of Achievement, many of which hang in faculty member’s offices to this day. All members of the Anthropology faculty (including faculty emeriti) as well as affiliated scholars and Anthropology MAIS students helped to assess the skills test and officiate the competition. Teams of two faculty members completed a 3-tiered rubric for each student as they completed each skill test in the qualifying round. In the final round, facult judges indicated when finalists had finished each skill correctly and could proceed to the next and also officiated roadblock penalties. Faculty found that students varied quite a lot in the skills and knowledge they brought to the class. Some, for example, had already completed archaeological fieldwork as part of an internship and were familiarity with the skills tested; as such, progress made as a direct result of coursework could not be assessed accurately. Others were completely new to the field, so their extensive progress was not fully captured Program faculty decided to implement an initial skills assessment at the beginning of the class so that progress could be judged accordingly and, if indicated, the course could be modified to ensure that all students were challenged to improve. The Housing Welcome Week program was restructured in fall 2016 and is designed to provide housing students with a week of programs and activities that facilitate their transition to Stanislaus State. To assess the quality of the restructured program, Housing and Residential Life used spring 2017 and fall 2017 focus group findings; incident report review; direct student feedback and three semesters of student survey findings to review the program and make corresponding changes. Students did not engage with co-curricular themes; Student Affairs was finalizing. In fall 2017, co-curricular themes were introduced each day which aligned with the Student Affairs co-curriculum model. Lack of individual sense of belonging and sense of floor community. Established sense of belonging as a priority for fall 2017; integrated more social events designed to facilitate interaction. Welcome Week activity days were found to be too long and too many days. Shortened the overall length of activity days as well as the sessions themselves to facilitate student engagement and focus. Welcome Week will now be offered over 3 days vs. 5 days for fall 2018. Found that students provided larger gifts provided in raffles vs. small guaranteed items. Decreased the number of small participant gifts and added larger items raffled at key social times, such as dinner. A review of incident reports (2016-17) revealed the need to increase the number of sessions related to community living expectations and emotional wellbeing. Added or tweaked the content of sessions related to living in a community, as well as self-care and resiliency; added a session on Growth Mindset.